I don't really think of Donald Trump as evil (unlike many of my fellow liberals and progressives), but Davros? I was perturbed to hear Trump is spending a few days with the Kaled unstable genius. I'm unsure as to which of the two would be the worse influence upon the other. 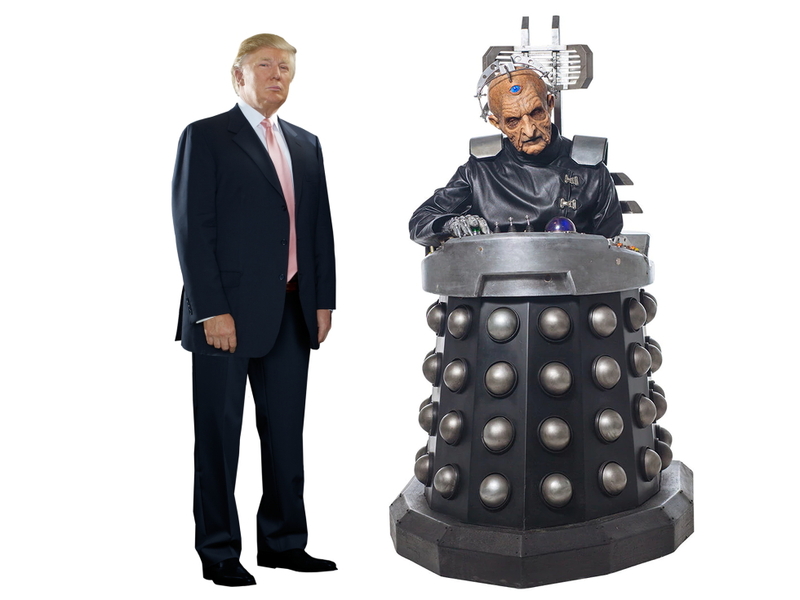 I can't help wondering what the Daleks (assuming Davros has any left with him) will make of Trump and the delegation of the "best people" he brought with him. And I can almost hear the word "Exterminate!" being Trumpeted across the United States. Still, I rather hope the Democrats don't decide they need to start making Cybermen to counter the threat. That just wouldn't end well. Also, why does everyone keep misspelling Davros' name? The 'r' isn't silent, people.